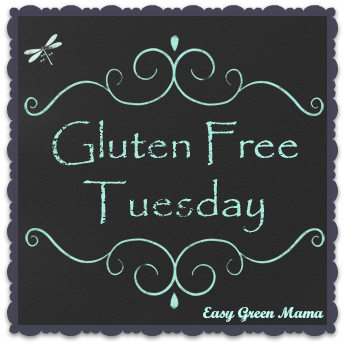 If you are on a Gluten Free diet because of Celiac or an intolerance you don’t have to worry too much about eating steak, but you should be mindful of the seasonings you are adding. I always read the ingredients carefully and look for Gluten Free labels. Here’s my families favorite way to prepare our steaks. We are a Ribeye Steak kind of family, but this seasoning will work for any cut of steak! 1. Sprinkle and spread jerk seasoning over both sides of steak generously. 2. 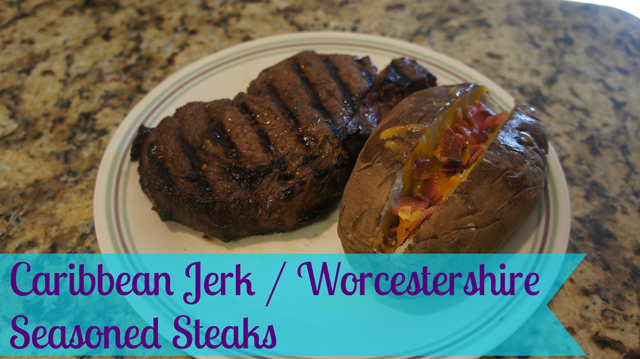 Sprinkle Worcestershire sauce over both sides of steaks generously. 4. Grill steak over medium-high heat for 4- 6 minutes per side or until desired doneness, turning only once. 5. Move to platter and let rest about 5-10 minutes before serving. Served with a salad and loaded baked potato. Oooh I love jerk so much!! There’s this restaurant out by us that doesn’t jerk chicken and its just AMAZING!!! I’ll have to try this recipe! !